A Coach? Why Would I Need One? Have you noticed lately, that many of your co-workers keep mentioning their coaches or mentors? Maybe you have scoffed at the idea. Why spend perfectly good money on a business coach? There are so many other things on which to spend it…car payments, credit card bills, retirement. But as Jeff Tomasulo, CEO of Vespula Capital, said “the battle cry of the broke is ‘I can’t afford it.’” The purpose of a coach is for you to invest in yourself, to learn new concepts and retool your goals. A coach will help you get to a point where you have more money for all those basic things, plus the extras…. a vacation, a boat, a bigger house. So how does a coach accomplish this magic? Do they just “rah, rah, rah” and suddenly you are wealthy? As much as we would like to imagine that scenario, we can’t insult our intelligence that way. So what is it? Go back to your childhood and remember some of the influential people. There were your parents or a great teacher, reminding you to keep the future in mind, as you made choices. “Keep your grades up, so you can get into a good school.” “Join the debate team to improve your chances of a scholarship.” And so on. While it might have felt like nagging at the time, they were looking at the big picture. While you were focused on what everybody was wearing, the latest music and who was after whom, they knew that those moments would pass, and you would need to have something of value to move onto. A coach is a person watching the game from the dugout, who has a generous amount of experience. So, yes, they can do that cheerleading stuff, like encouraging you to make five calls a day to clients and to give you inspiring pats on the back. But they can also stand back and see that you are been frustrated into inaction by a passive-aggressive employee, and talk you through the difficult conversation you need to have to fix the situation. They can point out where you are seeing the trees and not the forest. Where you hesitate because of fear, they can give you direction. They help you stay accountable to your own goals, because they are going to check in with you, and ask you what steps you took. Think of a trainer at the gym. He is going to determine your goals, and then prepare a balanced plan for you to achieve it. He is going to weigh you, measure you and maybe even take pictures. (That last part is really awkward when the trainer is your son!) He cares about the whole picture, your diet, you rest, and your exercise. Then he watches your form, lets you know when you are doing an exercise incorrectly, pushes you to do just a little more. He offers positive encouragement that is motivating and helps you see your progress. So, a business coach is also looking at the whole picture. Sometimes, we can get so lost being successful that we forget what we are living for. A coach will hold you accountable for having the balance in your life that you know you need. Your coach will guide you to give time to the other parts of your life, your physical and mental health, your faith, even your community but especially with your loved ones. He will make sure you schedule the time to go to your son’s play or your daughter’s soccer game, a schedule that date with your significant other. And where will that time magically come from, you might ask? That is another role the coach will fulfill, a time-keeper. They will help you set a plan for a pace, and for your priorities. If you are working more efficiently, you will have more time. In the past, you might have been unwilling to take the time to sit down and schedule your week. That is a tool that a coach will teach you to use effectively, and make sure you do it. 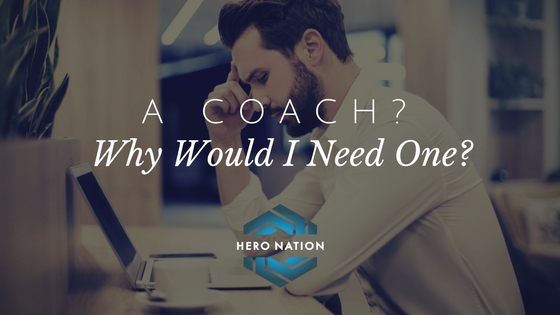 So once you realize you need a coach, how do you choose the best one for you? Word of mouth. Ask those friends who they use. Ask them why they like them and what they add to them. You can also ask the coach for referrals. Obviously, these people will give you them a glowing review, but ask specific questions, have an idea what you do want and what you don’t want. You could also search for online reviews. Written word and video clips. Most coaches have active blogs, vlogs, facebook, twitter etc. Many have also published books. Spend some time with these materials to make sure your outlooks on life jive, and that you like their overall style. Strategy Sessions. You really don’t want to invest money into a coach until you have spent some time working with them. Many coaches will offer a free strategy session, where you can determine if the two of you fit together. It is rather like a first date, before you commit. Ok, so once you find a coach who matches your personality and goals, what can you expect to see in the coaching contract? Time. Most coaches will schedule calls or meetings with you two to four times a month. Cost. While $1000 a month is probably the average, it depends on the arrangement. Rates can range from $500 to $5000 per month. Duration. Coaches rarely charge by the hour. While the rate is often paid month by month, the contracts will usually be for six months to a year. Sometimes there is a specific course with a shorter time frame. Extra Benefits. Coaches often offer extra perks, like group calls, or mastermind conferences. Decide if these are things that would motivate you to reach your goals. A coach is an investment in you, in your education as it relates to your business. The act of taking on a coach will make you money, help you set your goals and reach them, grow your business and keep the balance in your life to make sure you are getting everything you want out of each day. It is worth the cost. Schedule your free introductory strategy session with one of our coaches today and decide what coaching program is right for you. Click here to schedule.